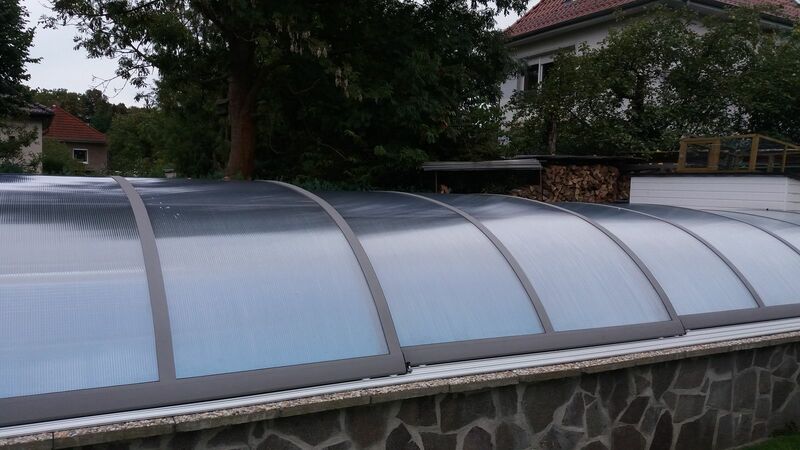 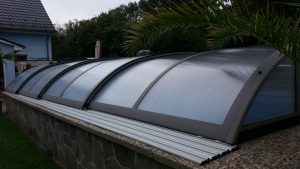 If you're looking for a roof solution that will blend well into the surroundings and not obstruct the view, choose the Simple option. 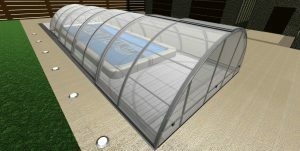 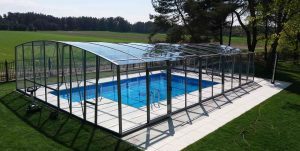 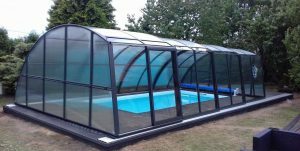 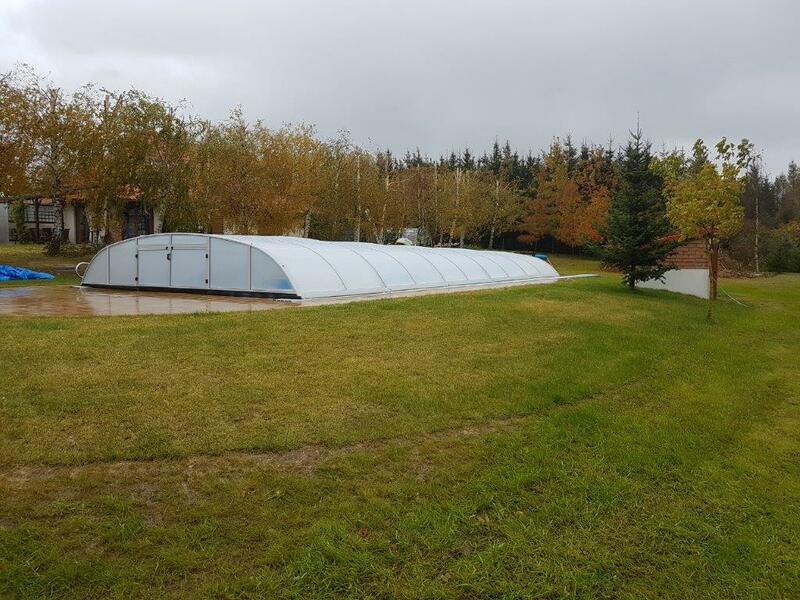 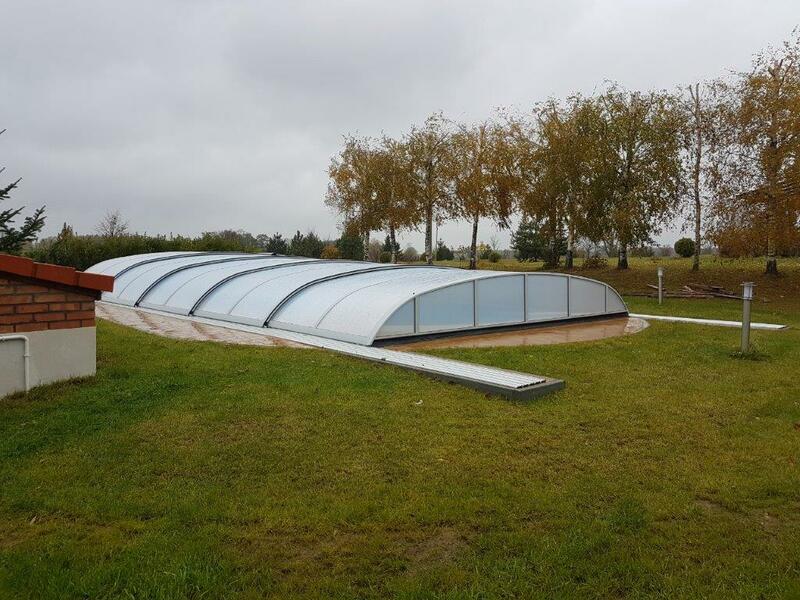 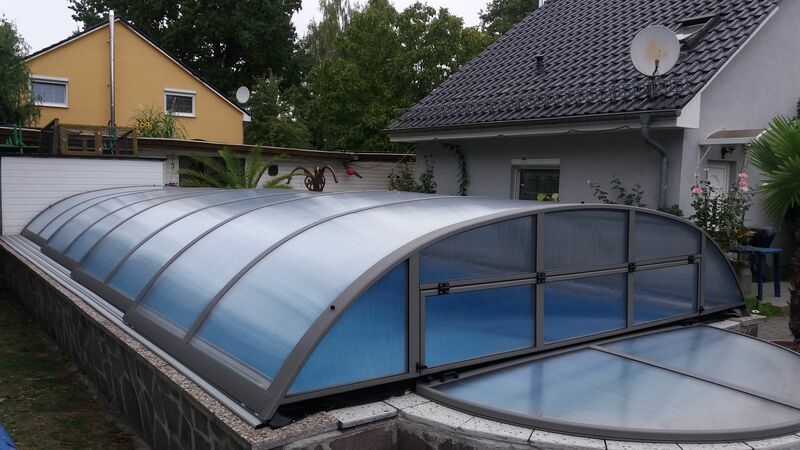 Although not the highest roof in our range, the Simple option allows you to swim under a closed roof. 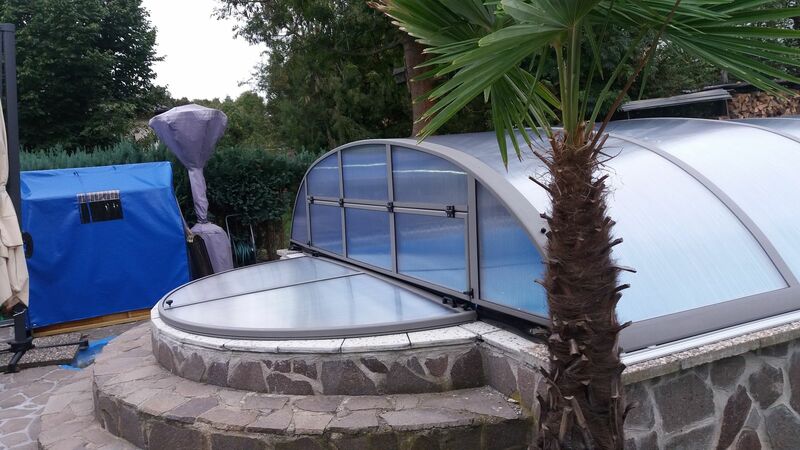 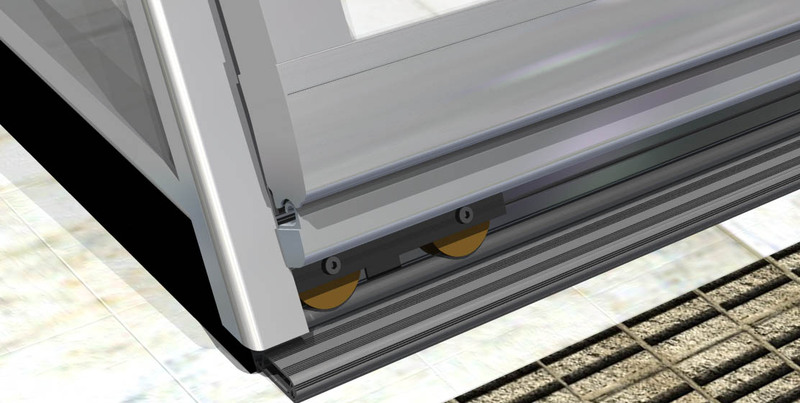 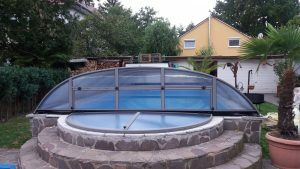 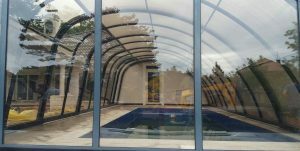 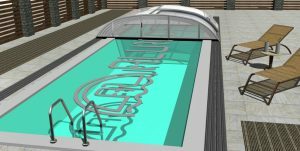 Specially designed sliding doors allow easy access to your pool, and thanks to our uniquely designed aluminium construction and water-tight sealing system, your swimming pool will be cleaner and warmer than ever. 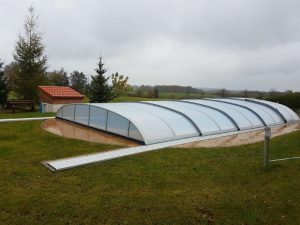 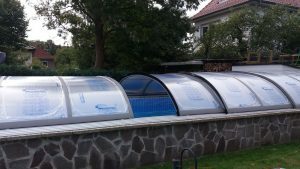 The compact roofing is elegant and inconspicuous, and will help keep animals away from the water, while making it safer for children. 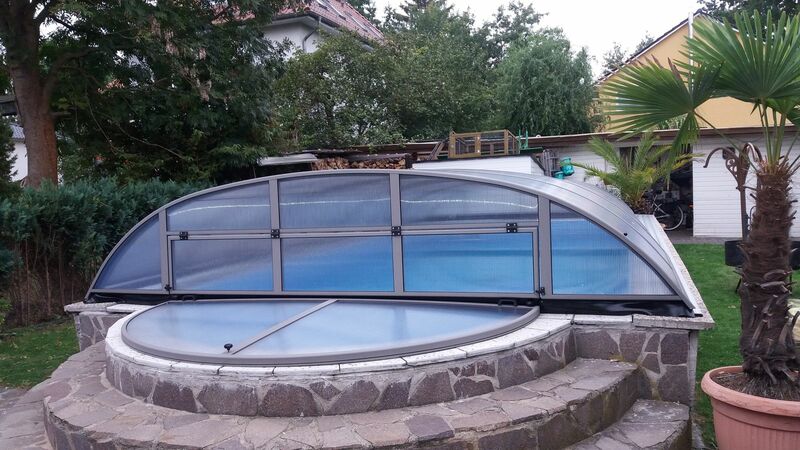 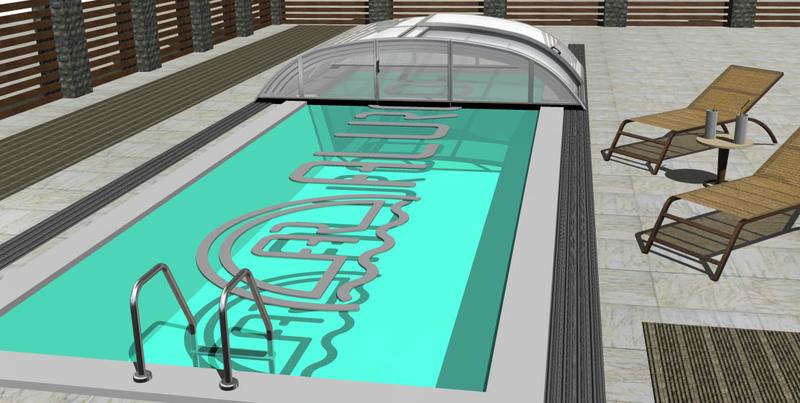 During hot days the roofing panels easily slide open so you can enjoy unlimited fun in the water.